Mr. Colin Bennett of Gainsborough, SK. 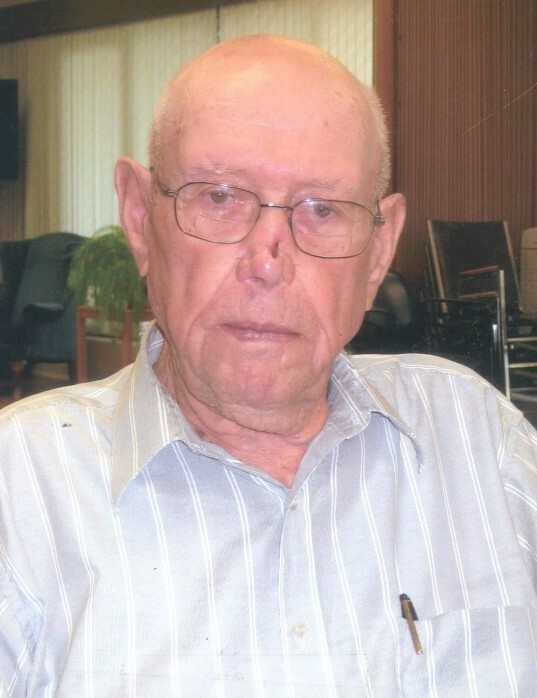 passed away at the Galloway Health Centre, Oxbow on Thursday, November 15, 2018 at the age of 93. Colin is survived by daughter, Dorylea (Barry) Wilson of Pierson; son, Brad (Gayle) Bennett of Estevan; grandchildren: Ryan (Laura) Wilson, Michelle (Jared) Clark, Ashley (Ryan) Steffensen, Nick (Jaye) Bennett; great-grandchildren: Cole, Shane, Ashton, Layne, Wyatt, Clay, Rhett, Carter, Slade, and Jayce; sister-in-law, Shirley Bennett; numerous nieces and nephews. He was predeceased by his wife, Joyce in 2000; infant son, Colin Darwin; parents, James and Sarah (McMillan) Bennett; sister, Violet (Garnet) Pickard; sister, Isabelle (Bill) Smith; brother, Elwood (Helen) Bennett; brother, Max Bennett. The funeral service was held at Knox United Church, Gainsborough, SK. on Saturday, December 1, 2018 at 2:00 p.m. with Rev. Rob Reed officiating. Interment followed at the Gainsborough Cemetery. Donations in memory of Colin may be directed to the MS Society of Canada, Saskatchewan Division, 150 Albert Street, Regina, SK. S4R 2N2, the Canadian Cancer Society, Saskatchewan Division,1910 McIntyre Street, Regina, SK. S4P 2R3, or to the charity of one's choice.